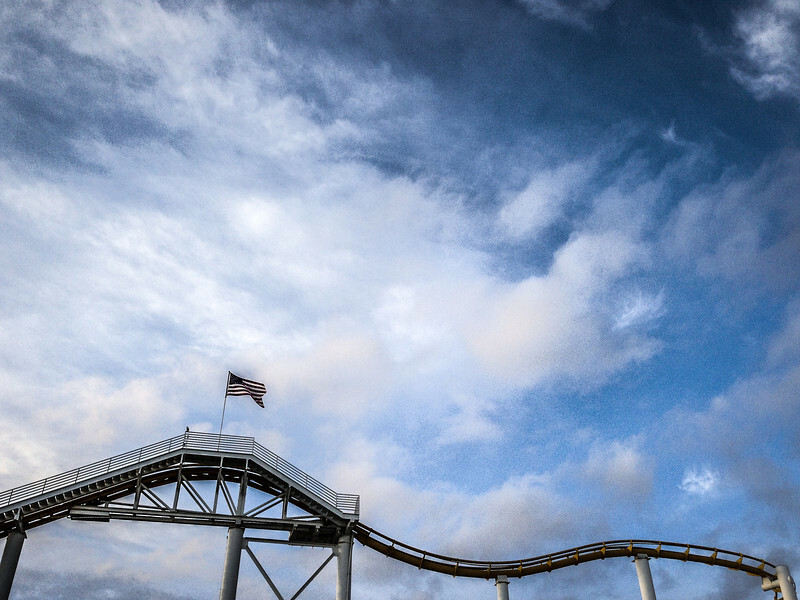 This is the roller coaster on the Santa Monica pier. I composed so you could only see the top part of the track and nothing else, and then I went nuts in Lightroom to make it more dramatic in a very Instagrammy sort of way. It's not the greatest photo for sure, but it's because my main focus was on this: http://youtu.be/v57S-IQUU1A That's right, I'm working on time lapse stuff! I finally have all the equipment I need to do a decent job. My Nikon D7000 has an intervalometer built in, I have a battery grip so it can stay powered for hours, I have an excellent tripod that won't move, and I have a computer with QT7 and significant processing power and disk space. I'm hoping to piece together a nice little video of the pier with multiple time lapseses.